The OFFICIAL HIDDEN MICKEY FAN CLUB! Hello Hidden Mickey Book Fans! 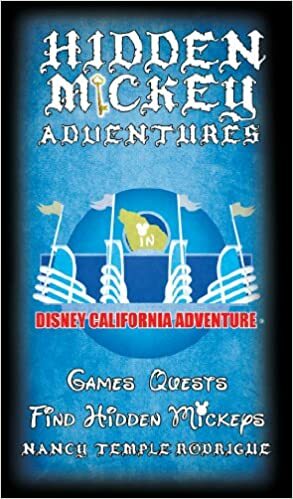 Like our Hidden Mickey novels, we hope to inspire some adventure in our readers; consider it a ‘quest’ to decipher some ‘inside’ information about Disneyland and things related to Disney. While some people might believe that the ‘cast members’ of Disneyland live off the remains of unfinished Mickey Ice Cream bars or Popcorn found in the bottom of discarded popcorn boxes, the truth is, there are two employee cafeterias at Disneyland. The first one is off Main Street near the hub. As you approach the Tomorrowland entrance, there is a First Aid center just past what used to be the old general store at the end of Main Street. Just past this First Aid center is a Cast Member’s entrance which leads to back stage. Just past this entrance is one of the two employee cafeterias. 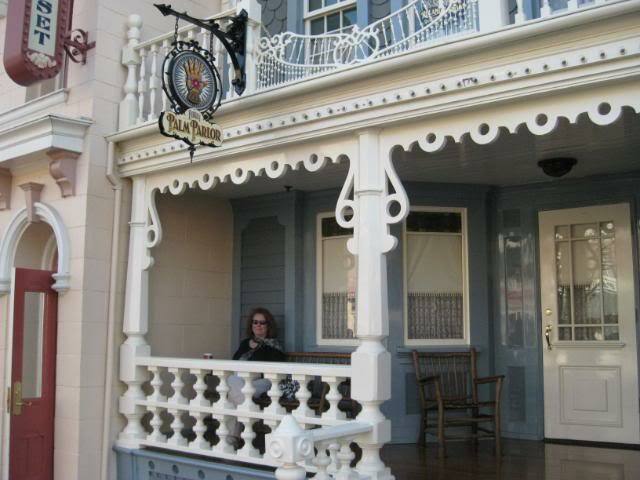 The second one is on the west side of the park below New Orleans Square. 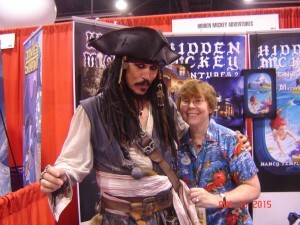 Actually, it isn’t really below the Square, it is behind part of Pirates of the Caribbean, and down a large tunnel that starts just behind Indiana Jones and the left side of Pirates. Another entrance to this cafe is to the right of the men’s restroom in New Orleans Square, just to the left of the Disneyland Railroad train depot in the Square. Down a short hall past the men’s restroom is a door that leads to a stairway. This stairway takes you down to the DEC, or Disneyland Employee Cafeteria (that is what it was called when I worked there). It was nicknamed the PIT, not because of the perceived quality of food, (which was actually not bad! 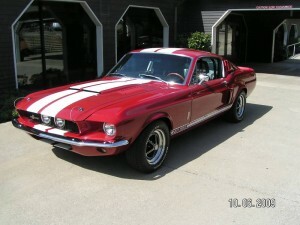 ), but because when it was opened back in the early 1970’s the walls inside were painted like race cars. Hence the name PIT, short for Pit Stop. There are numerous break areas around the park for cast members too. Behind the Hungry Bear Restaurant in Critter Country, there is a covered patio with a ping pong table and chairs to relax or read in. In between Frontierland and Adventureland is a semi-circle of shops and food stops. In the middle of these shops is an open area with stairs that lead up to second floor offices. There are covered break areas up on the balcony of this second floor. These are the offices of various managers of the west side operations. There are break areas in Fantasyland and Tomorrowland too as well as one behind Toontown. The cast members of Disneyland don’t depend on the guests for their meals, unless of course one of the guests asks one of the cast members out for dinner! Enjoy, and have a Great Hidden Mickey Day! 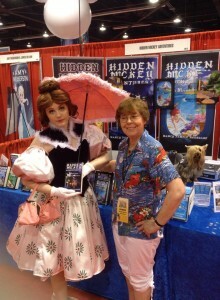 Be sure to check The Hidden Mickey BLOG for the latest Hidden Mickey news and Book Signing Dates. 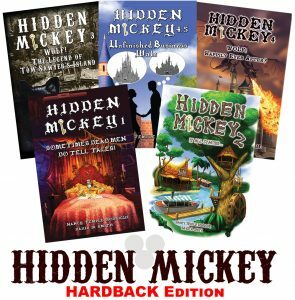 If you don’t see HIDDEN MICKEY in your local bookstore, please ask the Store Manager to order it, or contact us with the Bookstore name & address, Managers name, (plus their Phone and/or eMail if possible). We will contact them and maybe even set up a Book Signing there. 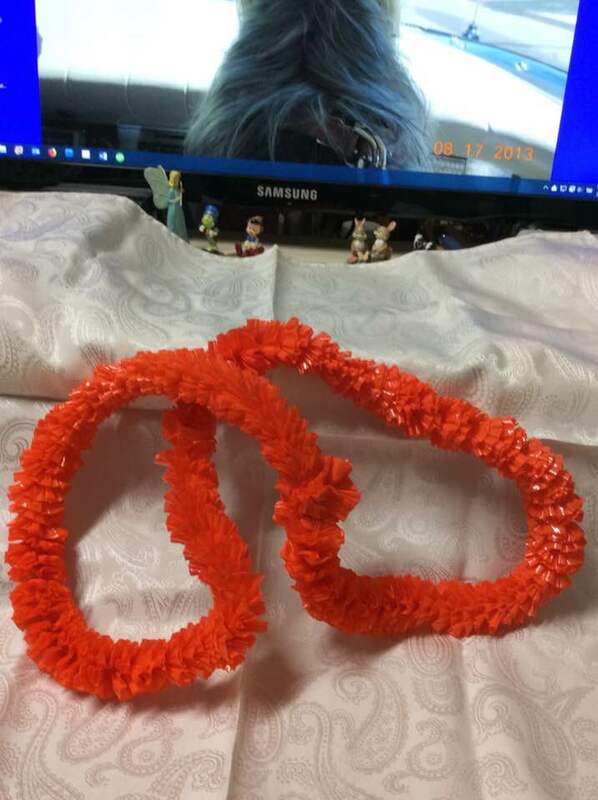 Going through my Disneyland mementos, I came across some badly crumpled plastic leis that I had saved from the Tahitian Terrace when our family had dinner there in the late 1960’s. The Tahitian Terrace had been mentioned in one of my novels, Hidden Mickey Adventures 4: Revenge of the Wolf. In Chapter 7, Walt and his team of Imagineers are going through the Park on their customary walk before the Park opened for the day, seeing how everything looked. On this day, Walt especially wanted to see the Tahitian Terrace that was under construction. The centerpiece of the restaurant was a huge African coral tree. Walt decided that the branches were so low that they would obstruct the view of the nearby Jungle Cruise boats as they returned to the dock. He had asked that the base of the tree be cut in half so a few feet could be added to the structure, and he wanted to make sure the work was done. As I remembered the wonderful times we had at the Tahitian Terrace, I realized that there are no markings or stamps or anything on this lei that would indicate it was from Disneyland’s past. 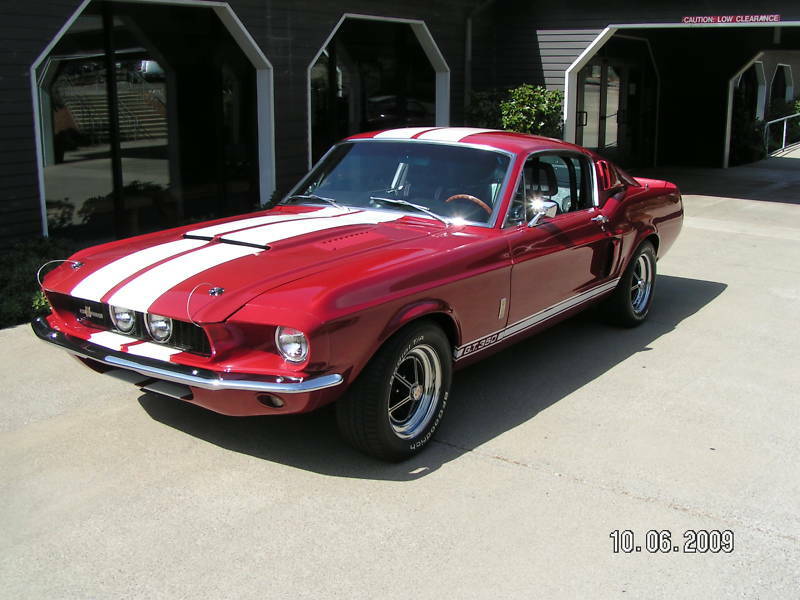 There is only my memory of when we got it and the fact it has been in my collection for decades. 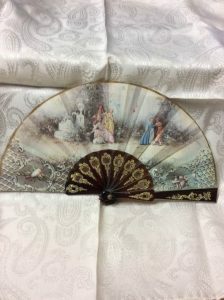 This lovely little fan was bought at the One Of a Kind Shop that used to be in the entrance to New Orleans Square. It was a wonderful shop that had a little of everything from around the world. The only marking on this fan is a small sticker that says Made in Spain. Many of you remember the Candle Shop on Main Street. Located in the same building as the Emporium, it was stuffed to the brim with candles of all shapes and sizes. This yellow rose, its leaves long crumbled, was purchased there, probably in the early 1970’s. 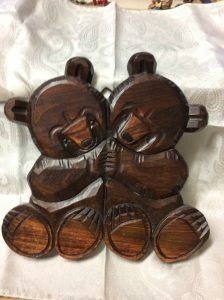 The last unmarked treasure I am sharing is this wooden wall hanging of two darling teddy bears. This was from the days of the Country Bear Jamboree and Bear Country. The shop was in the far back edge of the land, attached to the Mile Long Bar. I believe the store was called the Wilderness Outpost. This has hung in my kitchen since 1976 or 1977! So, these have been a few of my special unmarked Disneyland treasures. How about your collection? 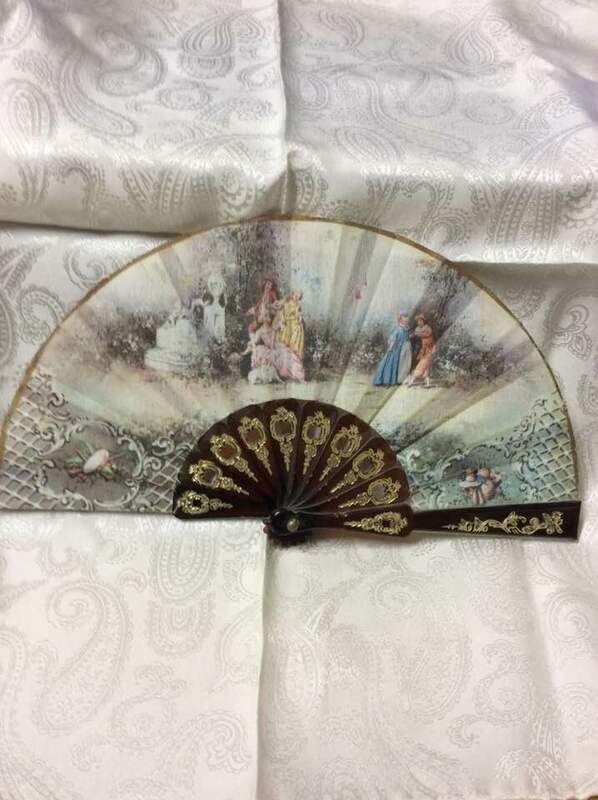 Do you have some memorabilia that has no Disney markings, but you can recall exactly where it was purchased inside one of the Parks? 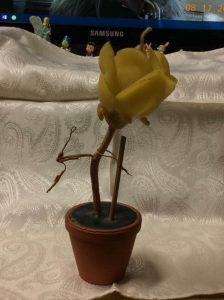 How about sharing some of your pictures with the other readers! We would love to see your pictures and hear about your memories! The beautiful cover art on all novels is Available to Purchase! Beautifully created, numbered and limited edition prints of this artwork is now available on beautiful 12″ x 18″ Canvas. There are only a handful of the beautiful Hidden Mickey Heart Pendants left. First introduced in Hidden Mickey 2: It All Started… and featured throughout both series of novels. Limited edition, with a gorgeous 30 carat lab created RUBY on a 14K Yellow Gold Vermeil “Hidden Mickey”. 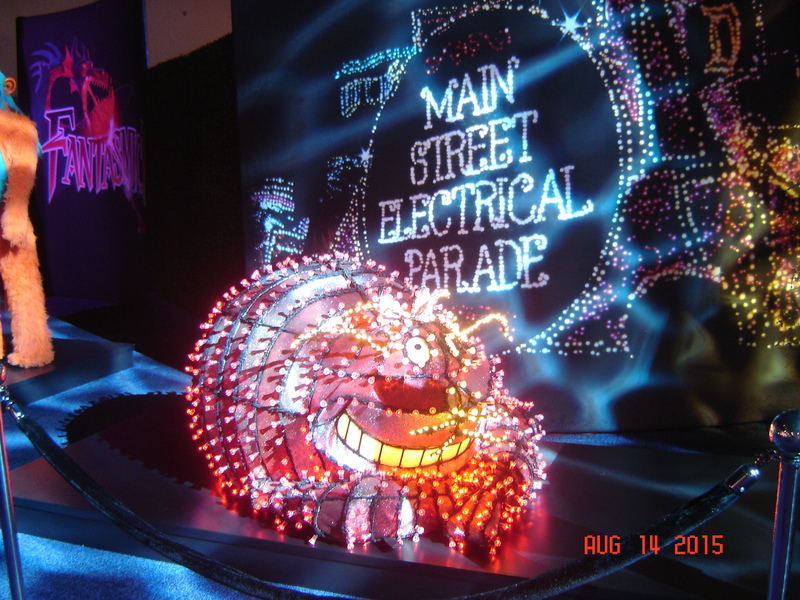 The OFFICIAL HIDDEN MICKEY FAN CLUB BLOG – v001! Hello all you Hidden Mickey Fans! Because there are some scenes in Hidden Mickey that take place on Pirates of the Caribbean, I thought it would be interesting to share some inside information about the ride. While working the ride for three years (1981 ‘ 1984), I found there were many elements of the ride, which I become familiar with, and found interesting; some of which I want to share with you here. 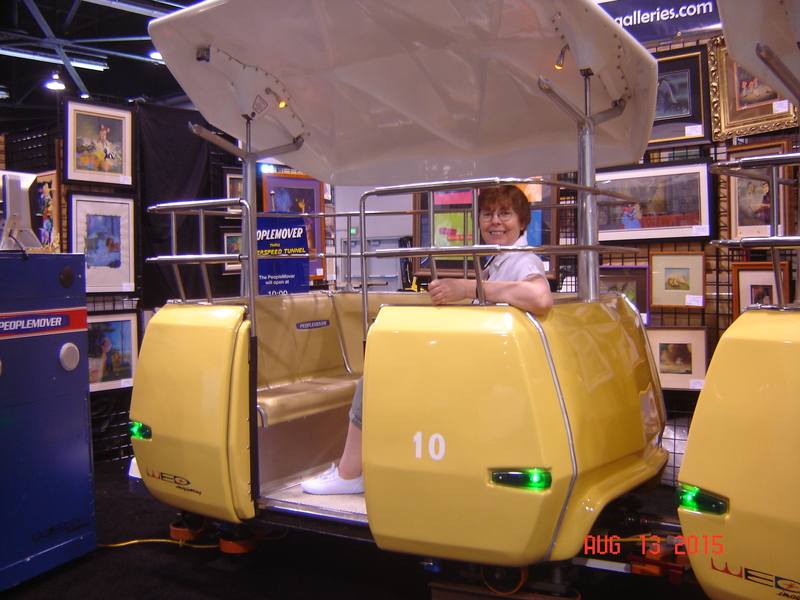 Regular visitors on the ride no doubt know that there are several infrared cameras throughout the ride. These cameras serve several purposes: One, they are to make sure guests are remaining seated throughout the ride and especially on the two ‘waterfalls’ and the ending ‘up-ramp’ where the boats are moving at sharp angles and at different speeds. Two, they are to make sure the boats don’t back up in a section of the ride. On rare occasions, a boat’s guide wheel will jump the ride flume, (either because of a improperly balanced load of guests or if a boat was rocking due to guests leaning side to side). Three, the use of flash pictures is discouraged due to the blinding light the flash produces for other guests. These flashes show up like nuclear bombs going of on the television monitors that feed the infrared camera images to the cast member who is working the ‘Tower’. 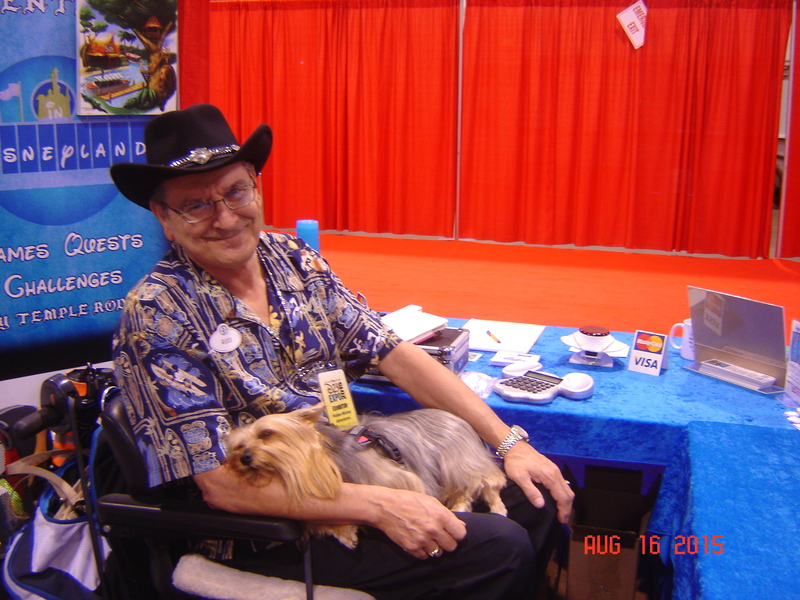 (The Tower is the dispatch booth above the load and unload dock which one cast member is responsible for dispatching the boats after receiving a ‘green light’ by the unload host who signals that the boats are loaded an the guests are seated properly by pressing a button on the underside of the handrail on the unload side of the dock.) Also, if people are reaching outside to boat to splash one another, this could potentially harm a guest if the boat were to bump up against the ride flume at the wrong time, possibly pinching the guest’s fingers painfully! Guests who are taking pictures or splashing will usually initiate a loud speaker announcement directed to that particular part of the ride asking for the individuals to resist either/or. The Tower operator has various buttons that direct the speaker to that part of he ride he can see within the range of the infrared camera image. 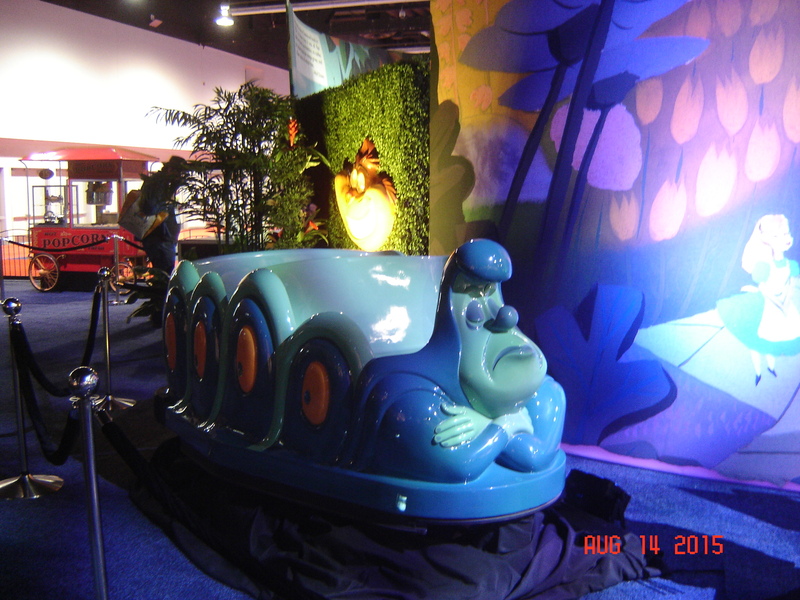 Many people believe that the rides at Disneyland go ‘underground.’ Well, this is a slight misnomer. Actually, because parts of Disneyland are built higher than the main entrance level, (yes, you are actually walking slightly up hill as you go up Main Street and head into Adventureland and Frontierland. Thus, when you go down the ‘waterfalls’ on Pirates, or go down in the ‘Stretching Room’ on Haunted Mansion, you are actually going down to ‘street level’ of the park. If you look behind the Disneyland Tram loading station in Downtown Disney, you will see several very large buildings behind the vine-decorated fences. 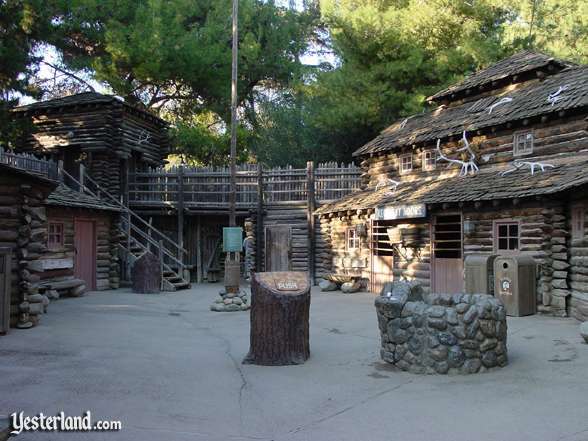 These are the Ride Buildings that house Pirates, Indiana Jones, and Haunted Mansion. The Pirates of the Caribbean ride is such a large show that there are actually two Ride Buildings that house all the scenes below Park level. As your boat leaves the Treasure scene on Pirates you enter a dark, low tunnel that lets out in the large open area where the large pirate ship is having a shootout with the fort on the opposite side of the room. The dark tunnel that separates the treasure room from the fight scene between the ship and fort is called the ‘Transition Tunnel”it basically is the connecting tunnel that moves the boats from the first Ride Building to the second. Enjoy, and have a Magical Hidden Mickey Day! 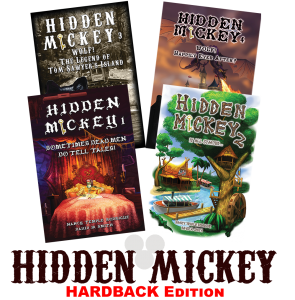 I am excited to announce that All my Hidden Mickey and Hidden Mickey Adventures novels are available in Hardback & Paperback, as well as in many eBook Formats! 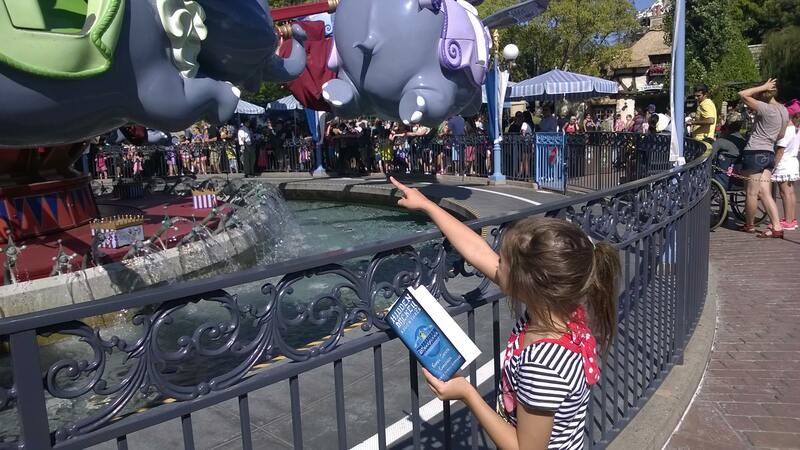 Want to go on your own Hidden Mickey Adventure? 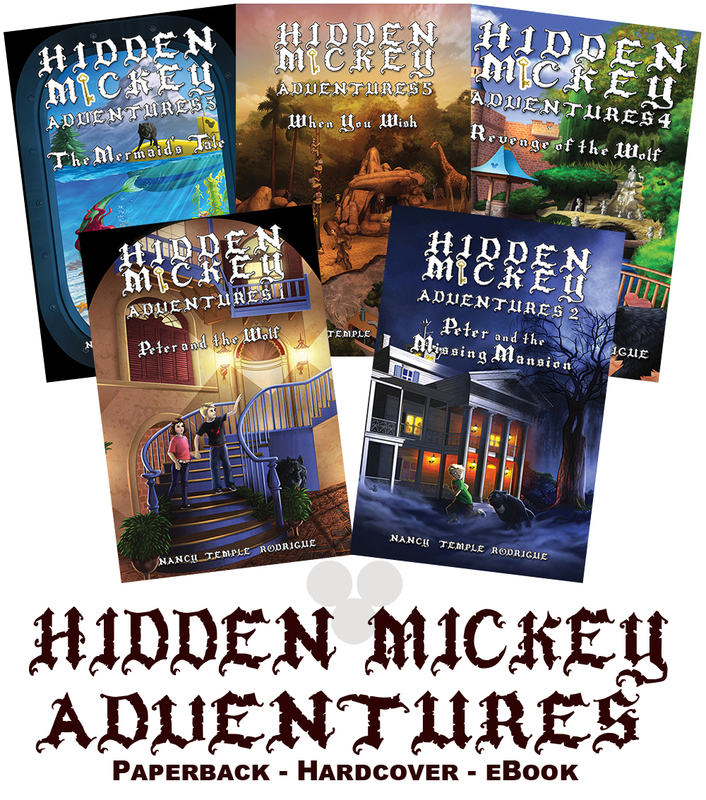 My Hidden Mickey Adventures Quest books are available in Paperback and many eBook Formats! Hello, Hidden Mickey Adventures fans! These books are fun for the whole family. 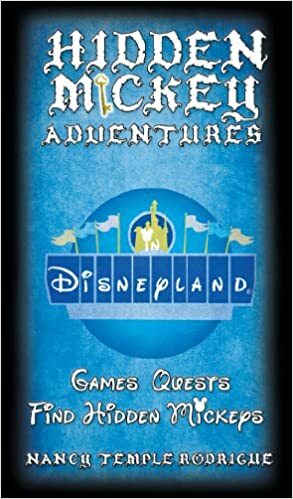 There are trivia pages and puzzles you can work on while waiting in lines, there are Hidden Mickey searches, there are pictures you must find in the Park, there are road rallies, and even games for the Junior Adventurers in your family. 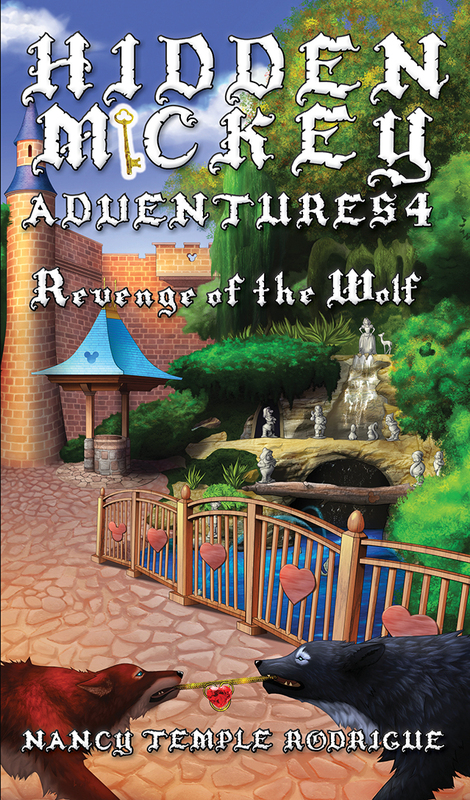 This newest release is volume 5 in the Hidden Mickey Adventures series, the book you have all been waiting for… action… adventure… and mystery surrounds Walt Disney and Wolf as they interact with Peter Brentwood in this 5th Disneyland clue-solving adventure. 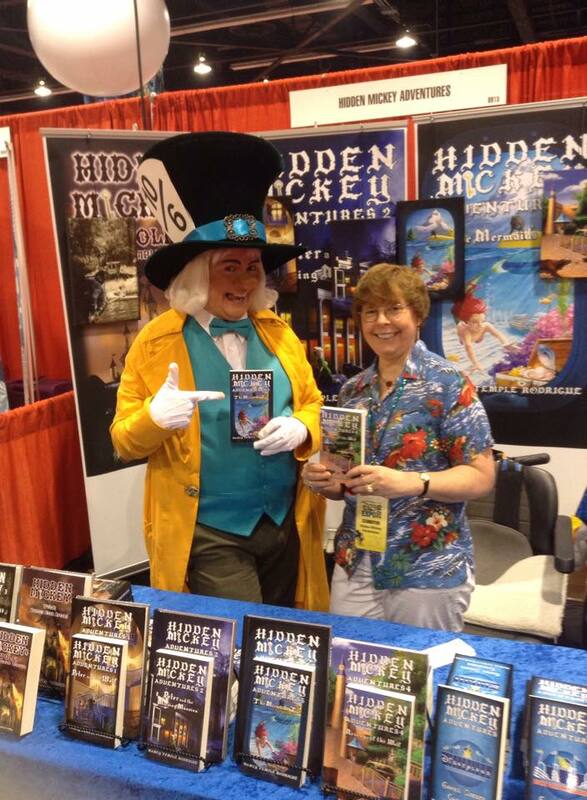 Get a Signed copy at Los Angeles Times Festival of Books or D23 Expo. 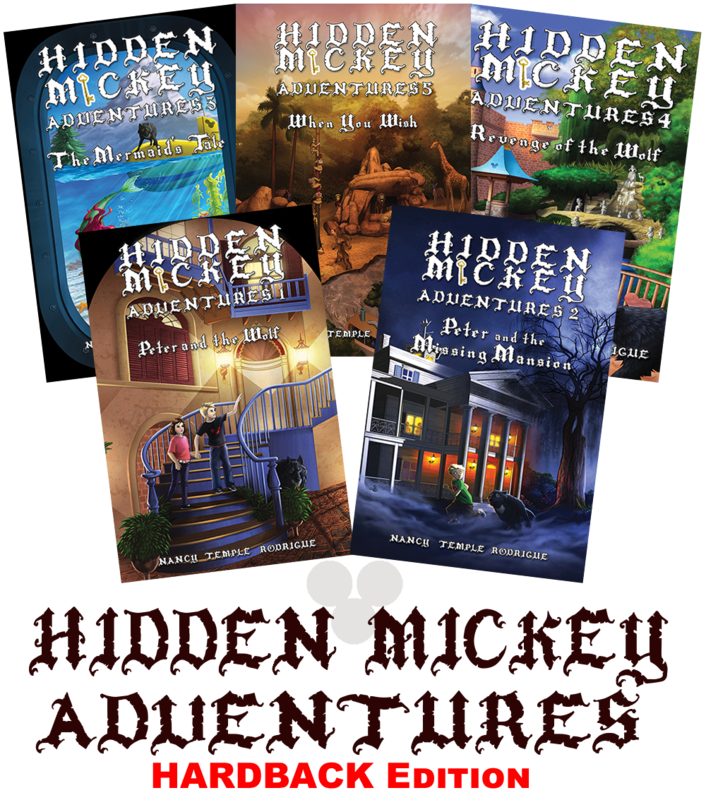 As with all the other Hidden Mickey Adventures, this book was written for Adults, Teens, & Tweens (age 9 & up). When tragedy strikes, Adam and Beth find it more and more difficult to believe in miracles. Will their family ever be whole again? CAN A MAN FROM THE PAST REALLY HELP A BOY IN THE FUTURE? Peter, still hurt and angry by the treatment he received at the hands of Nimue, is handed a special message. It is from Walt Disney himself. Can Peter get back his love for Disneyland and fulfill his special Hidden Mickey quest? Or will the absence of his partner be too much for him? EXTORTION. BLACKMAIL. A FORBIDDEN GLIMPSE INTO THE FUTURE. Walt exacts a promise from Wolf in exchange for his help. Wolf vowed never to take him on such a dangerous journey. Who will win this ultimate battle of wills? NOW IS THE TIME TO WISH! 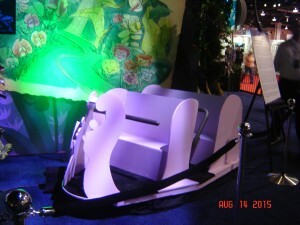 Disneyland now and in the future is the backdrop for this exciting tale of hopes, dreams, and discovery. When You Wish unites families and friends as they work together to keep the Disney magic alive both for themselves and for Walt s legacy. Another “E-Ticket” ride through Disney’s history. As you can see from the cover, Peter appears to be in the set of the Jungle Cruise Attraction at Disneyland. Wolf seems to be lurking in the distance, keeping a watchful eye on things. Why is Peter there at the Rhino scene? What could he possibly be looking for? 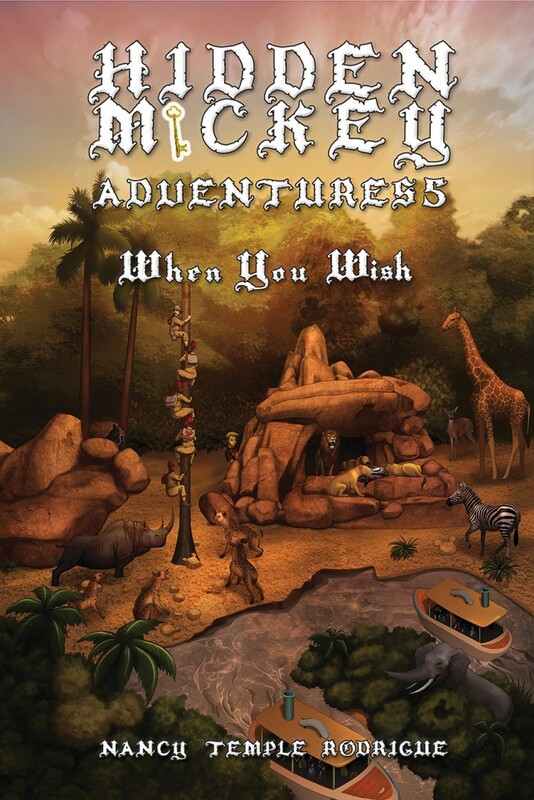 Will he be caught when a Jungle Cruise captain catches a glimpse of a boy in a place he is not supposed to be? 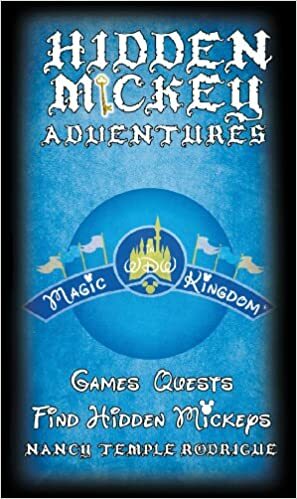 The answers to these questions, and many more, are answered as you are once again immersed in this fun fantastical Disneyland adventure that picks up right where the last book HIDDEN MICKEY ADVENTURES 4: Revenge of the Wolf left off, and brings you back to what happened to Lance in HIDDEN MICKEY 1: Sometimes Dead Men DO Tell tales and HIDDEN MICKEY 2: It All Started… so hang on to your hats, it’s going to be a bumpy ride! If you can’t make it to those venues, this adventure is available in Hardcover edition, paperback edition, and eBook formats, from Amazon.com, Barnes & Noble Booksellers, and many many other Bookstores and online retailers. 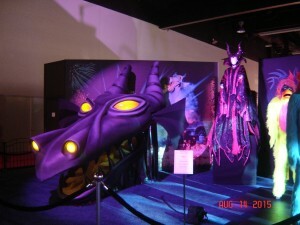 I wanted to share some of my pictures from Disney’s D23 this year. 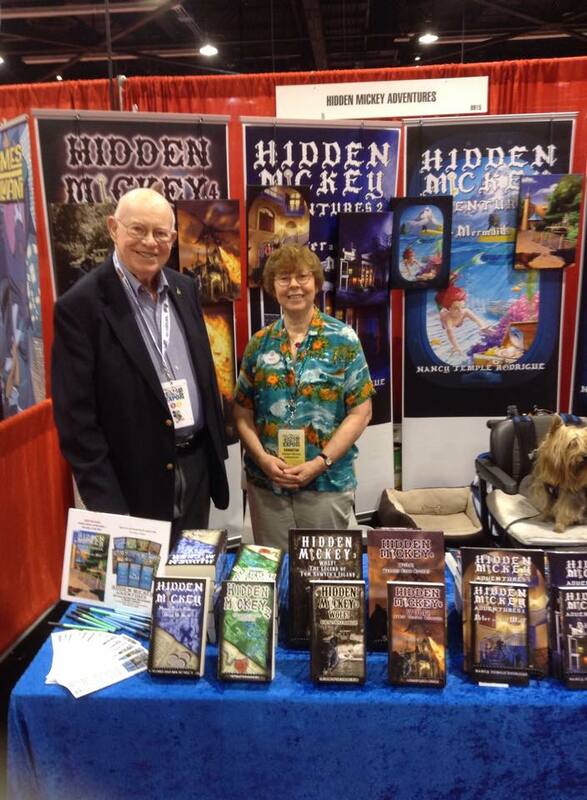 D23 comes around every two years, and I have been privileged to have been there with my Hidden Mickey and Hidden Mickey Adventures novels since 2011. Every time it is different and we get to see new exhibits and meet new people. Being in a booth, I was there from 8 a.m. to 8 p.m. each of the three days. But, I did have some time before the event opened to the public on Friday morning to snoop around the exhibits in my section and get some pictures! 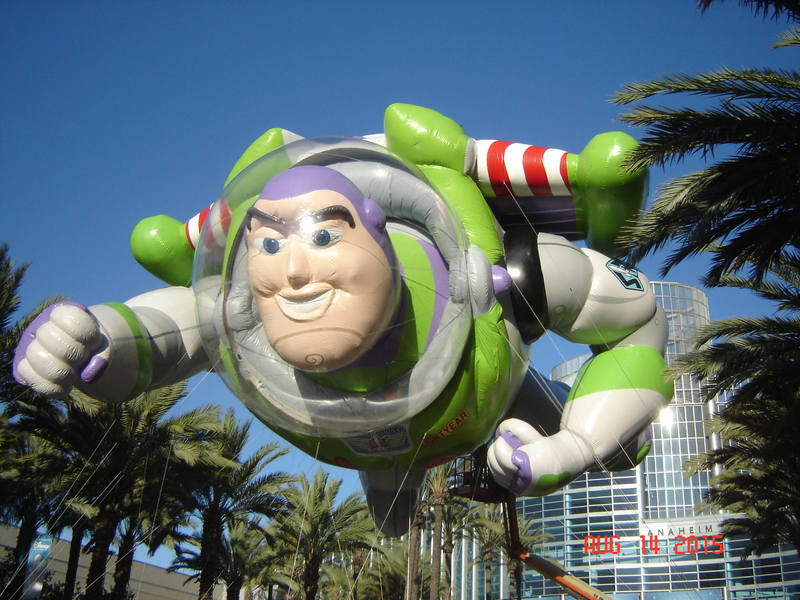 One of the first things we saw as we approached the Convention Center was Buzz Lightyear. Now, this was no ordinary Buzz. This was an actual Macy’s parade balloon. He was huge! I had never seen one of the balloons up close before and I can now understand why there are so many ropes and people helping guide it through the street. One of the exhibits that touched me the most was the Disney Archives. Some of you know the historian Dave Smith and his tireless efforts to preserve the history of both Walt Disney and Disneyland. Dave stopped by my booth, and it was nice to be able to say hello to him again. The Archives was a treat for those of us who remember back to years ago. 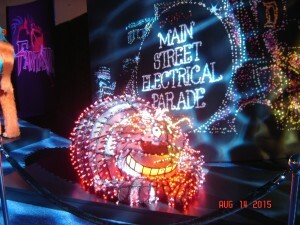 It brought back rides and parades and attractions that are no longer in the Park, but are still vivid in our memories. Another part of D23 that made some of us (no names here…) tear up was seeing some of the rides that had been removed from the Park. One collector brought a working Peoplemover. The doors opened and closed, the roof raised, and there were four different spiels. Is he or isn’t he?? Indy and Sallah. Take Heed! As you can tell, there was something for everyone at the event. 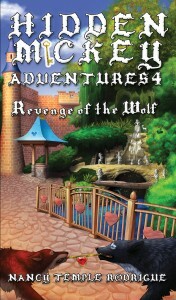 I was happy to release my newest novel: Hidden Mickey Adventures 4: Revenge of the Wolf. It, like most of my novels, is available now in paperback, hardback, and eBooks. Check them out on Amazon and Barnes & Noble! I even got to meet Sven. One person I couldn’t have done it without is my husband, Russ. He was at my side the entire event and worked tirelessly to help make it a success. 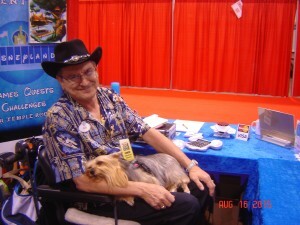 And, by his side, is his service dog, Toto. As you can see, we wore her out! Thank you to those of my Facebook fans who came to meet me. Some of you I got to meet for the first time in person. And some I got to see again and renew our acquaintance. You all made the event very special to me! 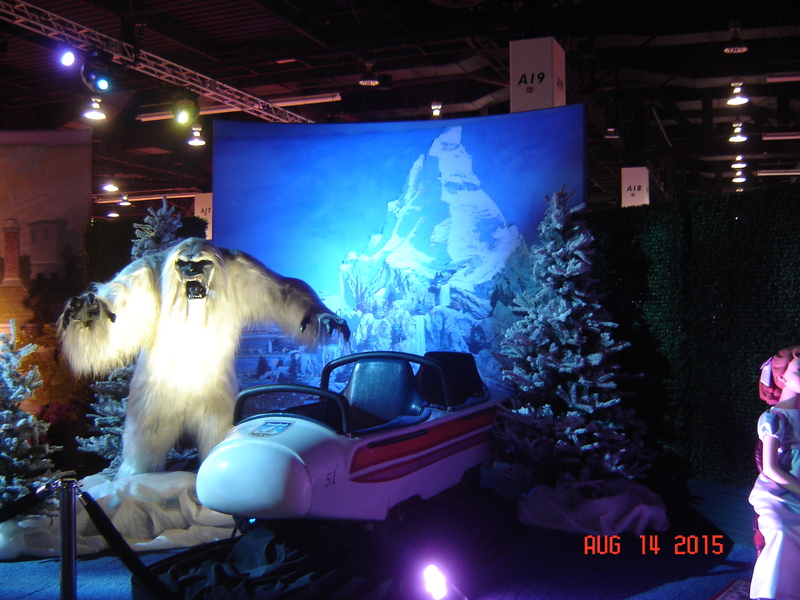 Best wishes to all of you and I hope you enjoyed my pictures from Disney’s D23 – 2015. 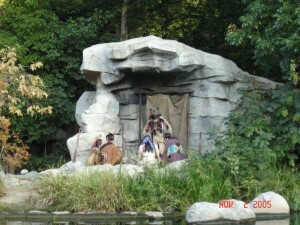 Blog HM4: Hidden Mickey 4: Wolf! : Happily Ever After? When Disneyland first opened in 1955, Fantasyland was themed to look like a village from Medieval Times. It reminded guests of the days of King Arthur and Merlin. There were cutouts of shields and banners that decorated the front of the rides such as Peter Pan and Mister Toad instead of the detailed and lovely façades of today. It was a simpler look – one that I remember well and really enjoyed. 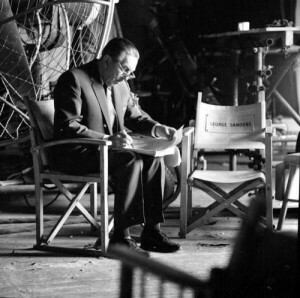 In 1963, the magazine National Geographic did a spread about Walt Disney, Disneyland, and his Studio. 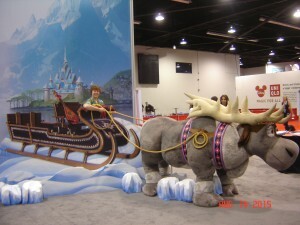 Included were pictures of artists as they worked on the animated film The Sword and the Stone. As we know, King Arthur and Merlin are the subjects of that film. 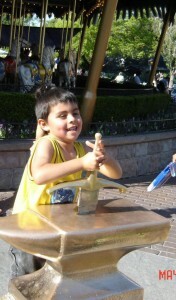 In Disneyland we have the King Arthur Carrousel and a sword embedded in a stone facing the Castle. There used to be a Sword in the Stone ceremony presided over by Merlin himself in which a youngster was pulled from the audience and given the chance to rule the kingdom – for a moment or two at least! In Hidden Mickey 4: Wolf: Happily Ever After?, we explore those days of King Arthur and Merlin as our intrepid heroes have a slight miscalculation in time and end up in the moat surrounding King Arthur’s castle, not King Stefan’s. Found by the owl Archimedes and taken to Merlin himself, Wolf, Wals, and Briar Rose discover their error but are still intrigued by the idea of actually getting to see King Arthur. But Merlin wisely tells them, “You don’t want King Arthur to see you.” Oh, the bothers of time travel! Not wanting Walt to be left out, we go back in time to see him at various stages of his career and what he was working on. 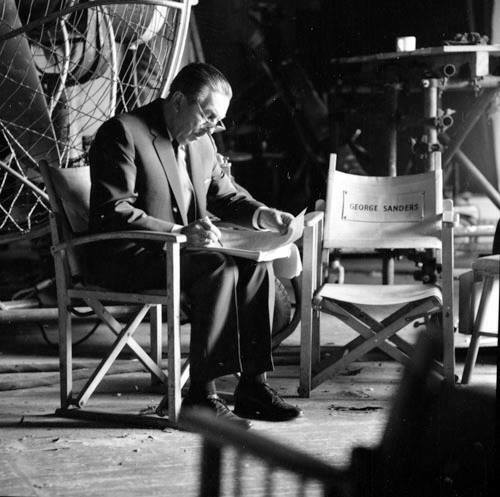 Whether busy at his Studio, or traveling in Europe with his family, Walt always had his eye on the future and how he could improve his Park. 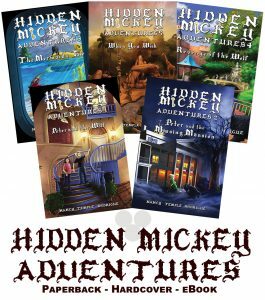 In the second book of this series, Hidden Mickey 2: It All Started…, you got to see Disneyland as it might be in the future. Now you will return to Disneyland of 2042 as the story of the heart-shaped, red diamond pendant comes to its thrilling, heart-tugging conclusion. You will see the Guardians of Walt from the past and present as they unite for one final conflict with the dragon Nimue in an epic battle of Good versus Evil. We aren’t done, though! 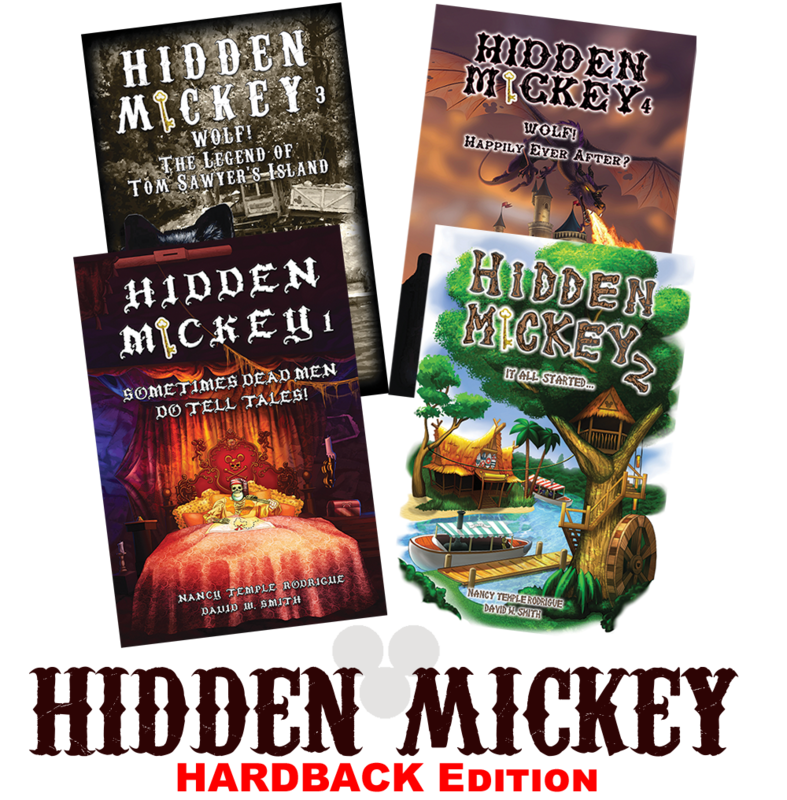 Be sure to keep the adventure alive by continuing with my new Hidden Mickey Adventures series of novels. The torch of the Guardians is slowly being passed to the next generation of clue solvers. All your friends will be there: Wolf, Lance, Kimberly, Adam, and Beth. And now you will be reading the adventures of their children: Peter, Catie, and Alex. As always, Walt will be there, too, to tell his story and share his history. Walt Disney once said that fantasy and reality often collide. And, if you look at the lengthy list of movies that have come out of the Disney studios, you will see that the sprinkling of pixie dust—fantasy—is present in so, so many of them. It is with Hidden Mickey 3 Wolf! : The Legend of Tom Sawyer’s Island that I begin to add the wonderful element of fantasy to the novels. 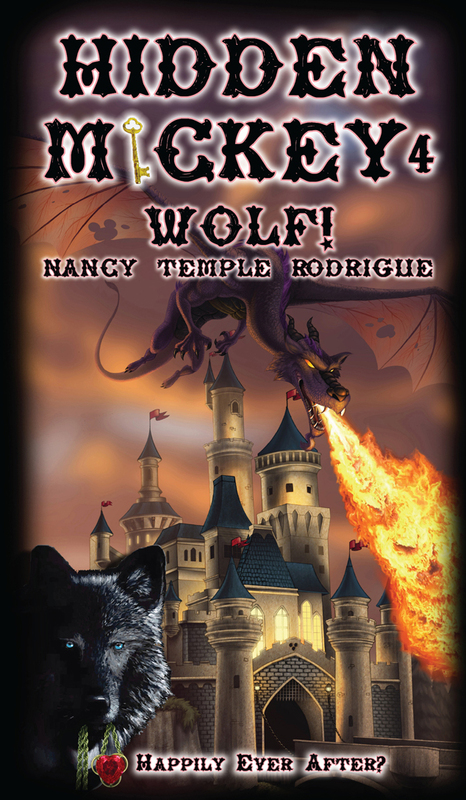 I introduced a special security guard named Wolf in Book 2 of the series, and hinted at some unique aspects of his abilities. I explore and explain those abilities in Book 3 and add the “what-if” factor. What if a character was able to travel through time? What if the places you are familiar with in Disneyland have another life somewhere else? And, as a twist to the usual time travel theme: What if the things that happen in Disneyland now affect the past? 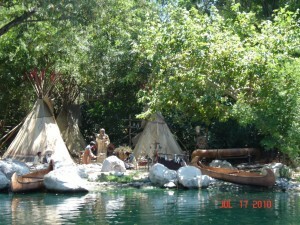 One of my favorite places in Disneyland is the Frontierland River, or Rivers of America. Whether I was on a keel boat, a canoe, or the Mark Twain, or just sitting on the upper deck of the Hungry Bear Restaurant, the River has always captured my imagination and caused a wave of peace to wash over me. There is a quietness about the trip down the River where the sounds of the busy Park vanish as the rhythmic strokes of a canoe paddle or the swishing background noise of the Mark Twain’s wheel take over. As a young girl I ran wild through Fort Wilderness, climbed into the lookout towers, and scurried through the Escape Tunnel. As I went by on one of the river vessels, I would stare at Cousin Jed as he bent backward over a fence post, an arrow sticking out of his chest and flames shooting into the sky as his cabin burned. I even have a picture of my brother standing in front of a huge stuffed buffalo that used to be in the Friendly Village. For years Cousin Jed’s cabin was empty, the flames long extinguished. Always a fan of the Old West, I wondered what it would have been like to live in that log cabin and visit the Fort when it was up and running. 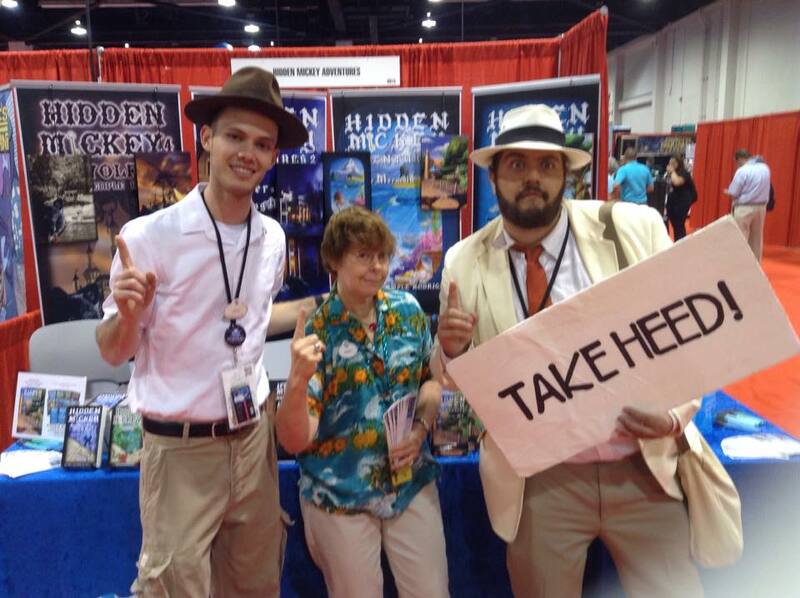 When it was time to write book 3, I knew that was where I wanted to go. I wanted to go back in time and bring that cabin and Fort Wilderness back to life. Walt and the beautiful red heart pendant are part of the story, too. 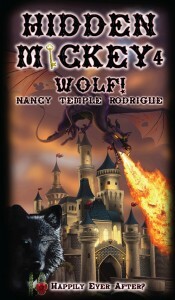 When Wolf wants to visit his long-gone boss, Walt, he makes a miscalculation and lands too far back in the past. We get to meet a 9-year-old Walt and his sister Ruthie on the farm in Marceline when Ruthie suddenly spots a big, bad wolf. You will also find out what happened to the Dreaming Tree. So, sit back, put yer feet up, ‘cause this here’s the wildest ride in the Wilderness! It’s a good question and one that I had to think about before answering. 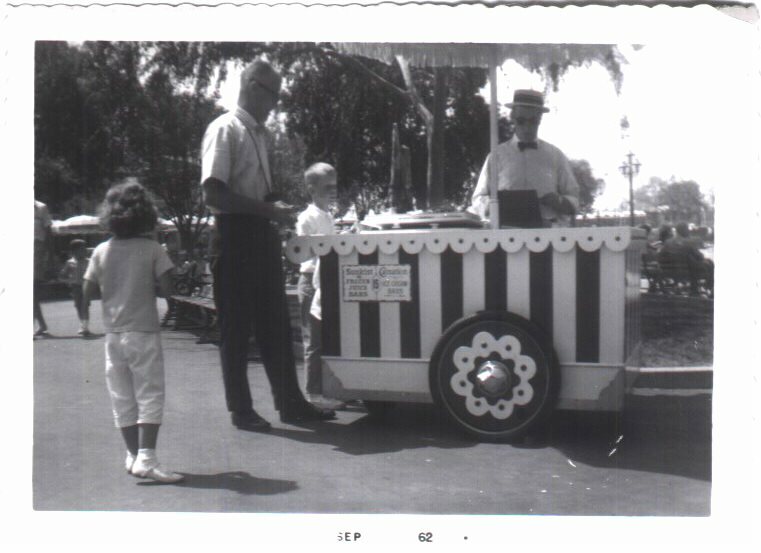 My first visit to Disneyland was way back in 1962 – and it was love at first sight. I have been going regularly since then, at least once a year and sometimes more often. 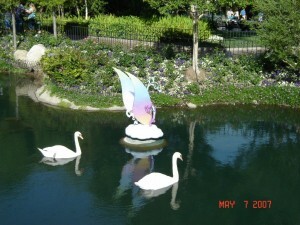 There have been many changes to the Park over the years and I have seen a lot of them. There are rides and attractions that I enjoy and go on every time I visit. There are shows where I know most of the words of the songs by heart. So, part of the answer to the above question would be that I know the Park so well, it is somewhat easy to pick out sections I want to share with others. Sometimes the part I choose for a particular novel is no longer still at Disneyland, so I get to bring it, and its creator, Walt Disney himself, back to life in flashbacks. Another part of the answer would be from all the research I do. Even before I started writing the Hidden Mickey novels, I was already an avid reader about the Park and about Walt. I have many of Disneyland’s souvenir books throughout the decades that I have been reading and re-reading since the late 1960’s. There are many fan pages on the Internet that have staff writers who worked at Disneyland, or, more excitedly, worked with Walt and are now sharing their experiences with all of us. There are also biographers whose works are quite fascinating. I read their words and try to look behind the scenes and find some part that might have more to it than what was said. Now, that was all the biography said about that little side trip. As I read, my eyes kept coming back to that one sentence and I wondered, “Hmmm, wonder what happened when they got up the Amazon?” And that was all it took. I include that PR trip in my second novel: Hidden Mickey 2: It All Started… and take the readers up the Amazon with Walt and show what happened on that overnight trip. Walt was given something special in the jungle – something that showed him that all his dreams would actually come true at a time when he was beginning to doubt everything. With a deft blend of fiction and fantasy, I set up for the future novels with the recurring theme of the red diamond Hidden Mickey pendant and its special powers. 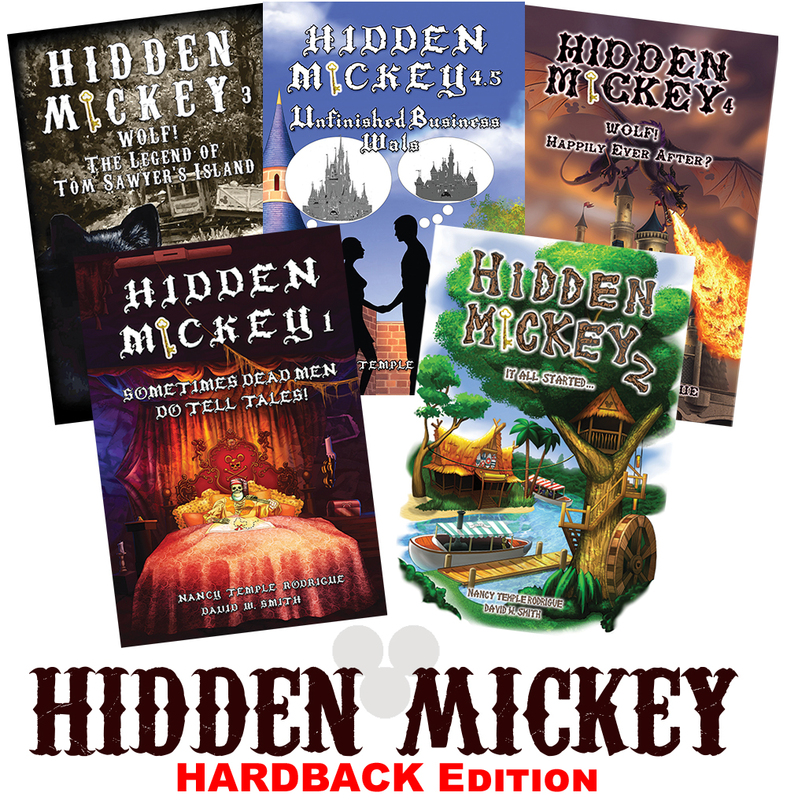 I hope you will check out this exciting continuation of the Hidden Mickey story as Lance Brentwood teams up with a new partner and delves even further into the fascinating history of Walt Disney.